Dodge Injectors 12 Valve Gen 1 1992-1993 Fuel Injectors: NEW Performance Injectors: Lucas 300 Prince Of Darkness POD 50hp Injectors - Industrial Injection Injectors. Dodge Injectors 12 Valve Gen 2 1994-1998 Fuel Injectors: NEW Performance Injectors: Bosch 300 50hp Injectors, Bosch 370 Stage 1 80HP Injectors, Race 1 Honed X2 62 LPM 100HP Performance Injectors - Industrial Injection Injectors. Dodge Injectors 24 Valve 1998.5-2002 Fuel Injectors: NEW Injectors: Stage 1 50hp Injectors, Stage 2 76HP Injectors, Race 1 Honed X3 85HP Injectors, Race 2 Honed X4 120HP Injectors - Industrial Injection Injectors. Dodge Injectors 5.9L Cummins Commonrail Injectors 2003-2004: Stock Plus Injectors, Dragon Fly 60hp Injectors, Race 1 100hp Injectors New Factory Built Bosch Stock Injectors New Factory Built Bosch Injectors built to Performance by Industrial Injection! Dodge Injectors 5.9L Cummins Commonrail Injectors 2004.5-2007: Stock Plus Injectors, Dragon Fly 60hp Injectors, Race 1 100hp Injectors New Factory Built Bosch Stock Injectors New Factory Built Bosch Injectors built to Performance by Industrial Injection! Dodge Injectors 6.7L Cummins Commonrail Injectors 2007.5-2013: Stock Plus Injectors, Dragon Fly 60hp Injectors, Race 1 100hp Injectors New Factory Built Bosch Stock Injectors New Factory Built Bosch Injectors built to Performance by Industrial Injection! Dodge Cummins injectors from Industrial Injection, specialists in the Diesel Performance industry! All of these Remanufactured Injectors are built with ALL NEW BOSCH PARTS by Industrial Injection. 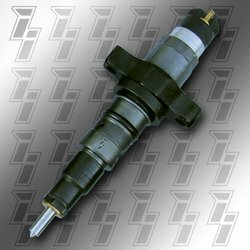 Get the perfect injectors for your Dodge Cummins at a great price!